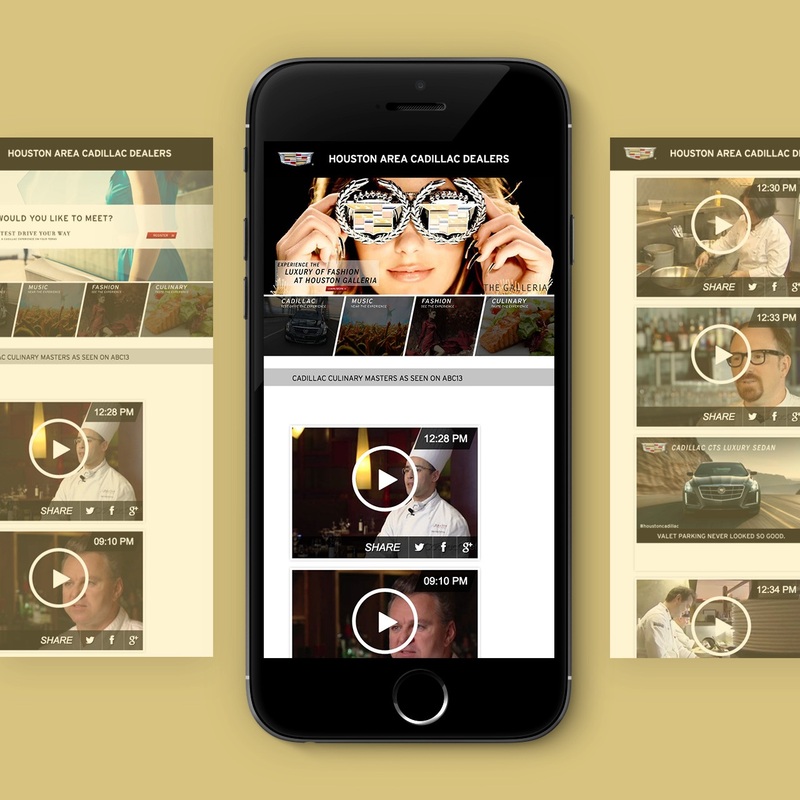 Amuse Digital leveraged its publishing and curating resources to engage a younger audience with the brand in a meaningful way. We created an interactive installation so consumers could have a unique brand experience through sponsored events and activities centered around their passion points. 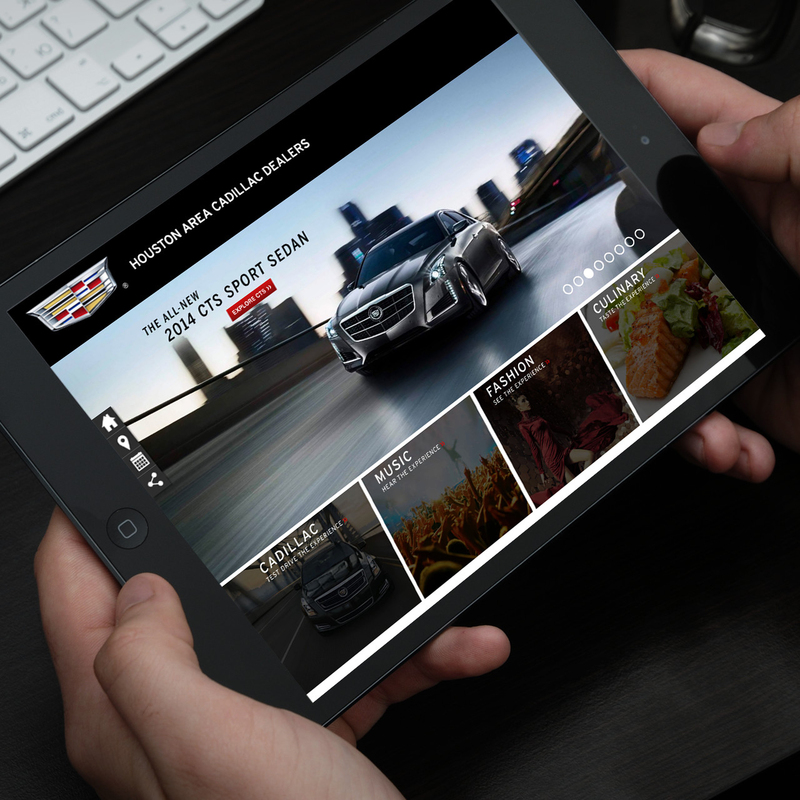 As an established brand, Cadillac sought to continue its legacy by attracting the next generation of car shoppers. 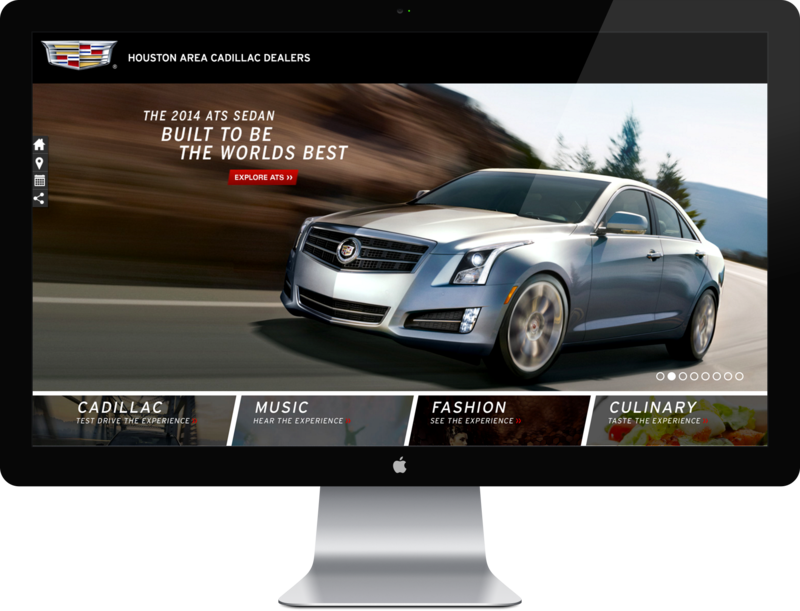 To attract young, new car buyers, Houston Area Cadillac Dealers wanted to combine the educational showroom experience with the strong aspirational lifestyle aspect of their brand. 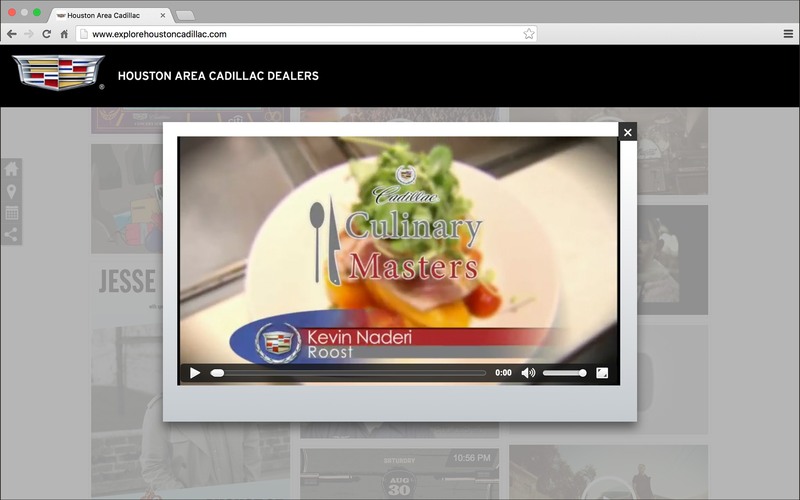 Previously, Cadillac tried accomplishing this by aligning the brand with three aspirational lifestyle channels: food, music, and fashion. 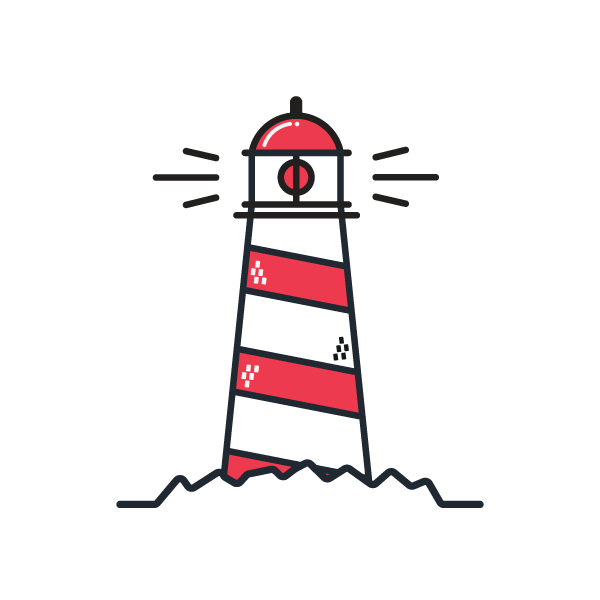 However, the company needed a strategy to promote, curate, and distribute their content in a more memorable, meaningful, and measurable way. To craft an immersive brand experience, Amuse designed an interactive installation to capture the attention of consumers in The Galleria shopping center. 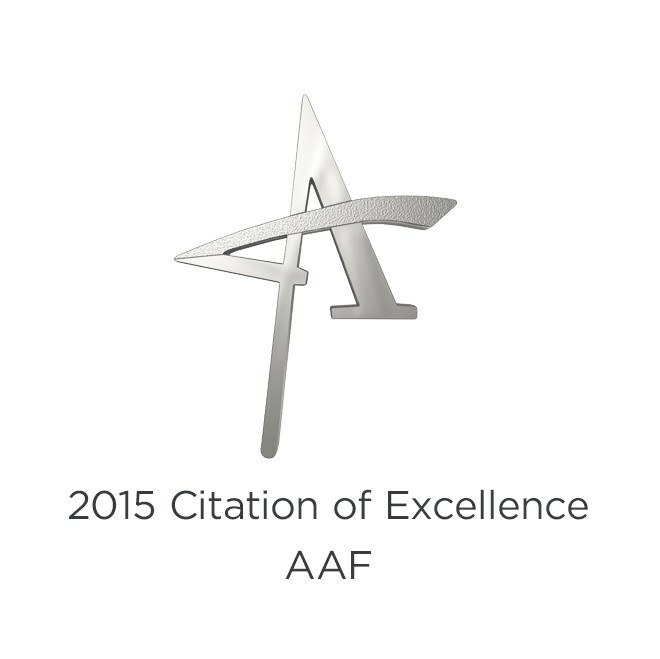 A microsite was also built to engage with users online. 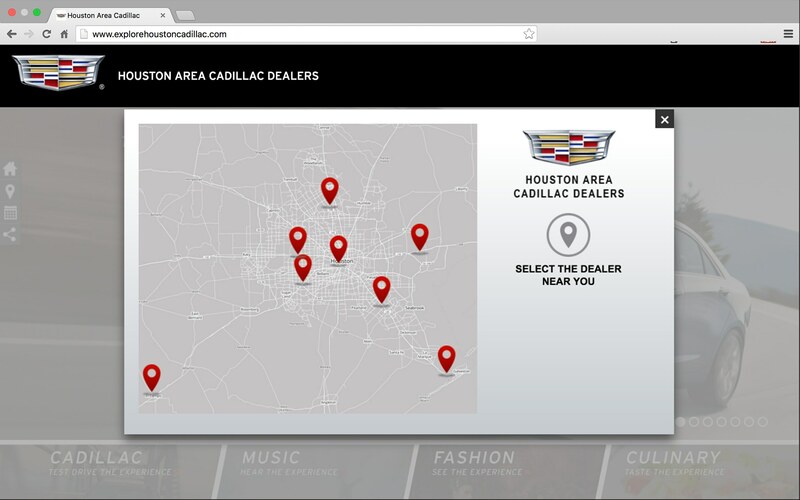 Using the touchscreen kiosk and microsite, users could browse the exciting, curated Cadillac-sponsored events and activities happening around Houston. Throughout the experience, Cadillac vehicle models were also featured, allowing the brand to accompany users along their journey of self-expression and thrill seeking. 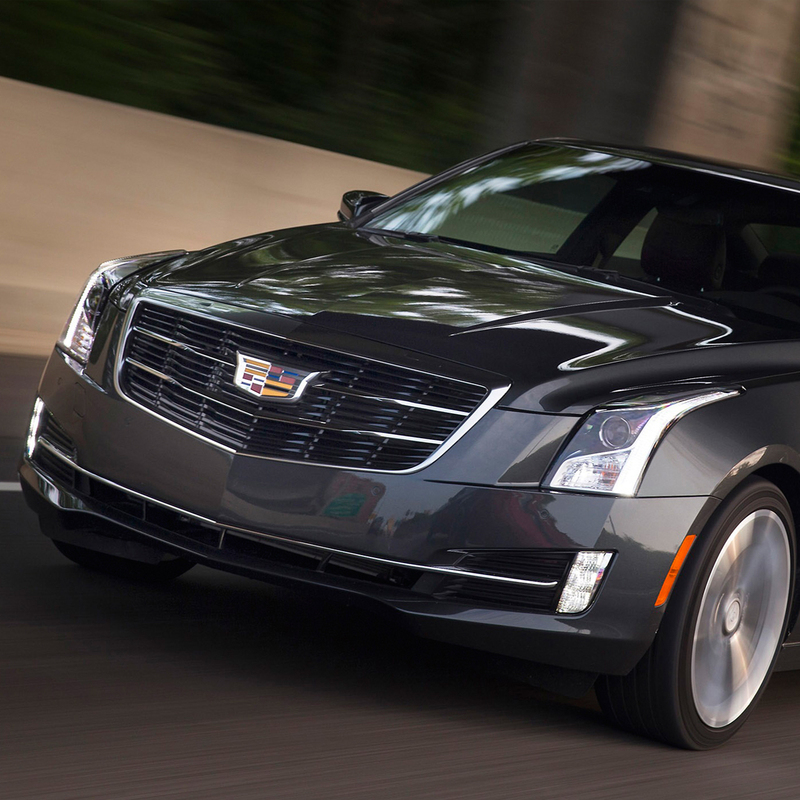 A gentle nudge towards test driving a Cadillac ensured a measurable way to track revenue conversion. 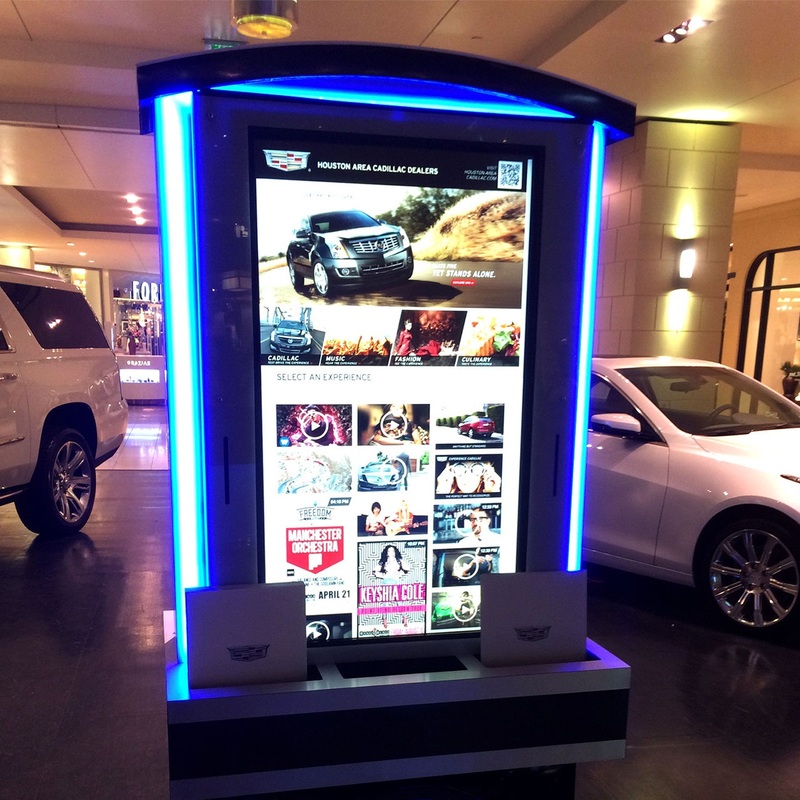 The kiosk provided an immediate boost in traffic and increased brand interaction. Millennials, the primary target demographic, were drawn to the kiosk and spent time exploring past and upcoming events in the city. 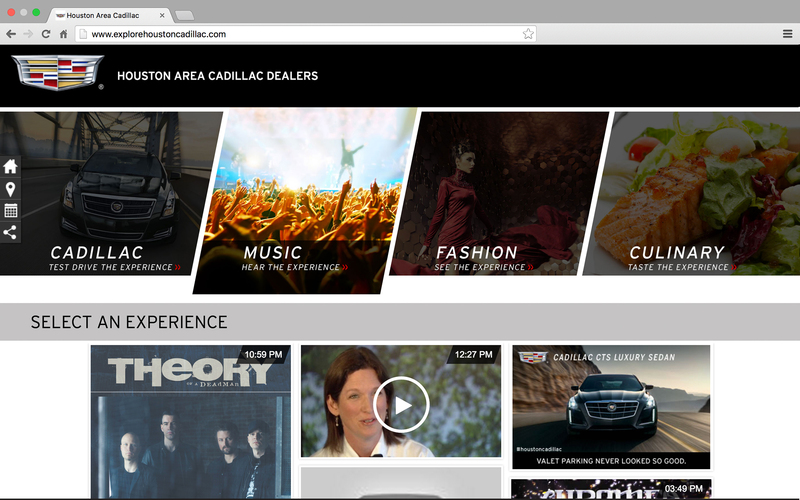 They also continued their customer journey by visiting the Cadillac showroom located near the kiosk. 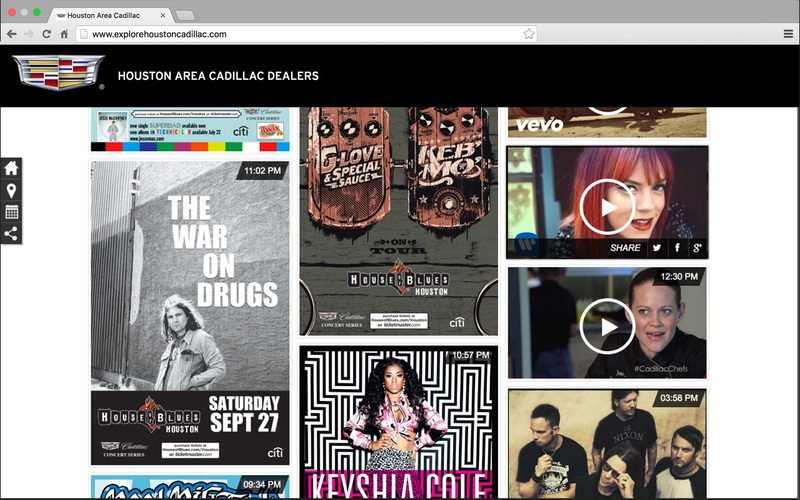 Appealing to the behaviors of a social media-centric generation, Amuse created an avenue to curate photos and videos of people attending various Cadillac events and shows. 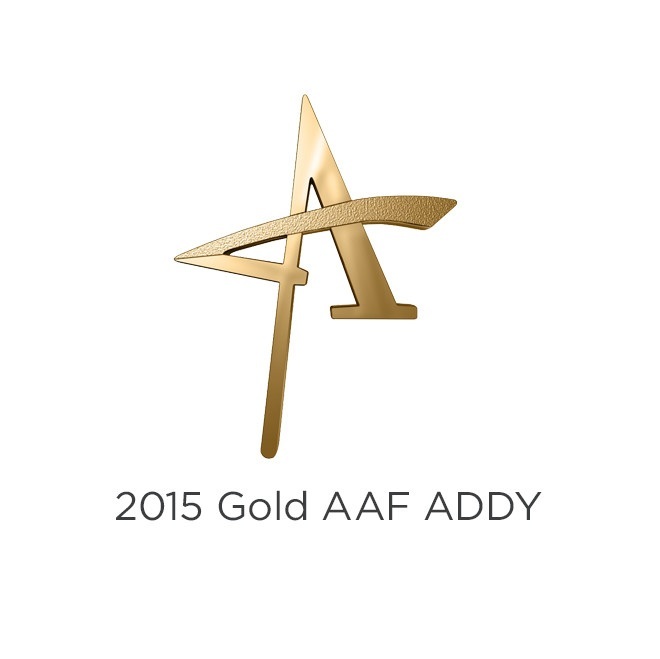 Brand-published and user-generated content were presented together on a scalable microsite. 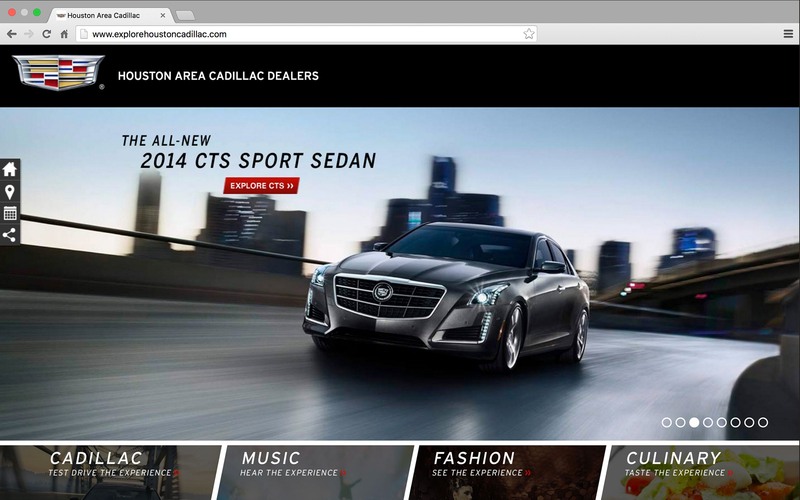 This integrated experience ensured that people attracted to the photos and videos also interacted with branded content and clicked on key CTAs, which drove more traffic to the Cadillac website.